your mixes in shape — fast. Designed in partnership with Softube, the Tonelux Tilt EQ plug-ins for UAD-2 hardware and Apollo hardware will speed up your EQ workflow and enhance your creativity. Designed by Paul Wolff, the former owner of the iconic API brand, the Tilt’s circuit is one of Wolff’s most ingenious creations — a super-simple, yet effective EQ tool that’s become a must-have for tracking and mixing. One of the cheapest plugin... and one of the best! Good sound! Easy to use! Doesn't hog quad card resources! And compared to other UAD EQs it's cheap! Very simple EQ that you can easily find use for. We are all dreaming about plugins ( or hardware ) with a few controls and a great and sure effect. Tonelux Tilt is one of these. The "loudness" presets, with some adjusments for my songs, are just perfects. I was thinking a Pultec or a Manley Massive did the same thing. Not so easily and so smoothly. This plugin is, for me, really a must-have, on each track, or group, or Bus Master. Definitively the best price-quality rate on UAD, and dispite the price, on the top 5 plugins on UAD platform for me. Because so useful everywhere, and so simple to do it. Simple, But Not For Prime Time. Uses very few resources and is very easy to use. Great for quick rough mixes and massive projects where using lots of resource-heavy alternatives isn't possible. However, the lack of frequency control and overall lower quality quality compared to other options, UAD and otherwise, really does—and should—limit its usefulness in a final mix. The danger will be in getting used to how easy it is to put it everywhere, tweak it, and forget about it. I will use it, but only time will tell how and how often. Good sound! Easy to use! Doesn't hog quad card resources! And compared to other UAD EQs it's cheap! Very simple EQ that you can easily find use for. What a brilliant little thing, really useful so simple and quick to use. It's great on just about everything and has quickly become invaluable. If you only ever buy one plug-in make it the tilt eq... and it's cheap ! Another fantastic EQ plugin from UAD , but rarely I've seen a eq as easy to use as the Tonelux® Tilt EQ Plug-in. I mean you can quickly get a good sound and good levels out of this plugin and that can be practical if you are in a hurry for example, then it can be very helpfull.Also for a first glimpse with a mix that is not well balanced , you can from the beginning understand what that music is all about, then by tweaking around ,it can only get better.It's also possible to take your time and get very precise sound out of it.That's probably when you are going to get the best out of it . The sound is wonderfull and I would strongly recomend to anyone who wants to get a very good sound from the beginning.Strongly recommended ! this eq is a dream. fast and easy. sounds great. good for quick mixes or rough balancing. many times I use it as a placeholder thinking I will come back and fix it later. but the plug in just stays there. just like all the UA plugs. Great sound. I'm a big fan of "less is more" or "do no damage" when it comes to mastering. The tilt EQ technique is not new in mastering. It's commonly done with a high and low shelf EQ although how one adjusts the EQ's Q is critical and difficult at times. 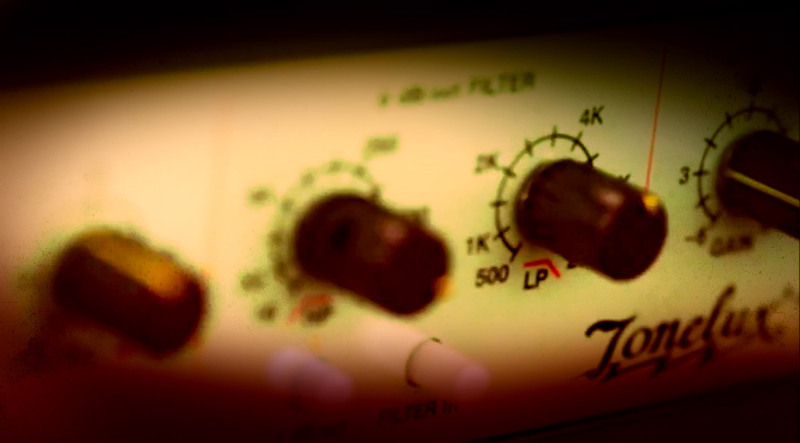 The beauty of the Tonelux Tilt EQ is in it's simplicity and sound quality. There have been songs I have mastered where I only use the Tonelux Tilt EQ and it's high pass filter. It has a way of balancing a mix without changing the mix with only a dB of tilt. Very useful tool. Paul Wolff is one of my friends. I've known "Fix" for 35 years now. That said, I'd tell Paul in a second if the Tilt wasn't up to what engineers and musicians expect from his designs. We talked a good bit when he was starting Tonelux and the Tilt EQ was a major part of the first Tonelux mic preamp. When he told me that he was going to enter the plugin world via Softube, and now UA, the Tilt made perfect sense. Simplicity plus high quality is essential with the tools we use to make music. Having too many choices can derail the creative process. As engineers, mixers and musicians it is wonderful when a tool becomes available that enhances our drive to get to the music. The Tilt does that job very well. Bought this purely to make use of some free vouchers. Great little plug-in, very clean sounding, very simple and works well when you just need a gentle rebalancing of mixes or individual tracks. DSP light and easy to deploy across lots of channels. Worth taking the time to understand the various parameters fully, great results can be had without deploying more complex/DSP intensive EQs. Has breathed some lovely sparkle into previously mixed projects from the bad old (pre-UAD) days! I'm only keeping a star back because the day after my purchase the Roland Space Echo dropped to the same price point - In all honesty I would have bought that first, but hey, can't complain at what is essentially a really useful freebie. Thanks UAD. How can utter simplicity be so incredibly effective? At first glance, it looks like something noble, humble and simple. Once switched on it is so incredibly effective! It is like the filter that should be on every track before I go to EQ. Such an amazing determinant of the tonal quality of each instrument and voice. Low occupation of DSP usage on my PCI card also means I can run many instances! Fantastic plug-in! it's a good EQ plug-in but it's not a special one. If this review actually gets posted, I was just curious, then not even using it or owning it (yet) I can write a review.. So that would mean that reviews mean nothing.. Technically, pun intended! I bought this plug but it is unavailable . UA does not say what OS versions are required for various plugs so if your OS is not supported, you wasted your money. I use OS 6.8 with an older MacPro and evidently, this plug needs a later OS to use it. this is great for when you're in the middle of it and you're just like "man can i just tilt this whole track toward the bright side really quickly?" or "can i just warm this bass up a bit by doing one thing instead of three things?" You can use the Tonelux Tilt EQ Plugin on every Channel and you may be satisfied. For me it´s a great Tool in everyday´s use. Try it. Just try the demo, you will love how easy it is to start shaping your mix. it is so easy to use.. and you can't put it in every channel if you like! Great way to sweeten tracks. Love using it on drums and acoustic guitars. Just a little nudge either way clears things right up. When will you be discounted? Not once yet?